In Electronic Arts' quarterly earnings call today, Frank Gibeau, the president of EA Labels, strongly indicated that EA Sports' troubled NBA Live series will be a next-generation console title when it launches later this year. Gibeau told investors the company plans "a full reveal at E3 including more next generation titles in development," for the coming year. "This will include breakthroughs in graphics and gameplay for some of our biggest franchises including Battlefield, FIFA, Madden, NBA Live, and Need for Speed." Gibeau later added that a "a brand new sports engine from EA Sports" also is forthcoming, and will be discussed at E3 in June. 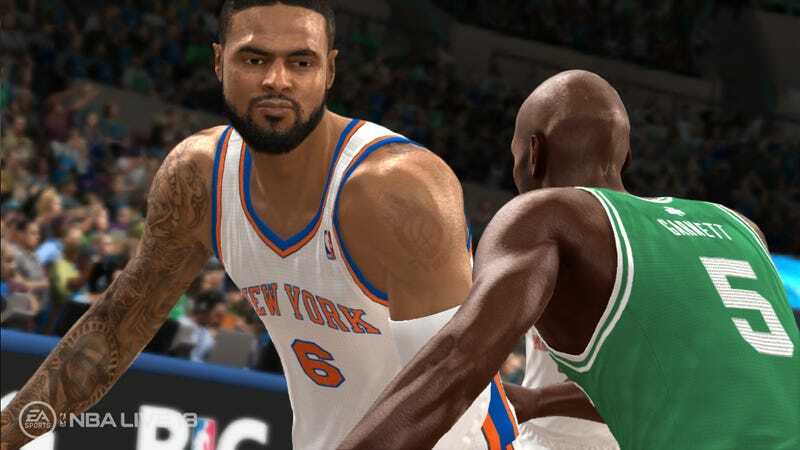 NBA Live—then known as NBA Elite 11—was canceled one week before release in 2010. It took a year off, with plans to return in 2012, rumored to be a cut-rate downloadable title, but EA Sports aborted that effort weeks before its presumed release, too. The series only recently dismissed its creative director.